During the last couple of months, the government of India has expressed a firm dedication to controlling the Web. Since you’re reading this article looking for the best VPN for India, you are most probably aware of new regulations and restrictions. And don’t worry, we are here to give you plenty of options, help you unblock restricted websites, explain what it means to use a VPN, and finally – help you select the best VPN for India in 2019. Just recently, Internet Service Providers across India have been ordered to block pirate websites. This is just the final act of a series of attempts to battle digital piracy by blocking websites deemed inappropriate. In case you didn’t know, India has introduced prison sentences for ‘cam’ pirates and also banned 800+ adult websites. Therefore, if you’re a Web user from India, today you have fewer options than you did a year ago – unless you invest in a VPN service, which helps you tear down any kind of restriction. The problem isn’t just related to torrent and adult websites. The Indian government has proposed amendments to Section 79 of its IT Act law. As human rights advocates claim, this is yet another attempt to establish rigorous censorship and set up a system for intercepting private user data. Therefore, you’re not being paranoid if you’re overly concerned about your online safety – you should be, and you should do everything you can to protect your online identity. After everything said so far, you’ll be happy to know that there’s a solution. By using a VPN application, you essentially hide everything you do online. Your ISP or the government won’t be able to collect your private data. And most importantly, you can go around any type of geo-block. 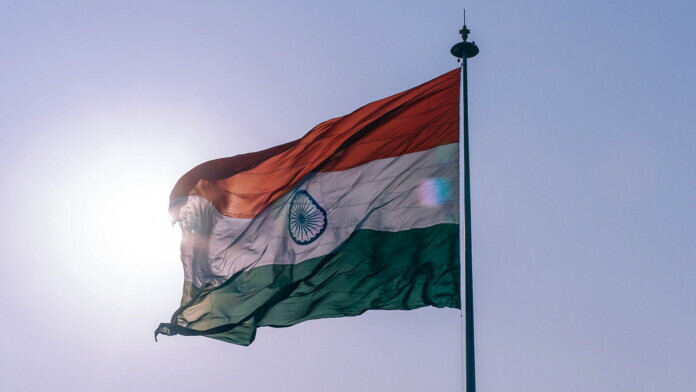 Without further ado, here are the 5 best VPN for India in 2019. ExpressVPN is one of the easiest VPN applications to use. Download, install, and with a push of a button, you could hit the ground running. And let’s not forget to mention that this is the best VPN you can buy, being the top-rated one for a long time now. This VPN boasts of a huge network of around 3,000+ global VPN servers spread across 94 countries, optimized to provide you fast access to the websites you wish to visit. With unlimited bandwidth and zero throttling, expect to work or browse online without any bottlenecks. Your IP address always remains hidden from anyone looking for it while you can download anything, from anywhere. ExpressVPN also doesn’t track your activity (no activity and connection logs). Plus, it’s got a beautiful interface and it’s incredibly easy to use. You also get to use a built-in speed test feature, IP address masking, and anonymous browsing. We recommend checking out TechNadu’s review of ExpressVPN, where you’ll find in-depth information. Read the article and make a well-informed decision. NordVPN is another highly reputable brand, offering its services for several years now. It’s characterized by its simple UI, more than 5,000 servers, and several unique features. It’s one of the best VPN providers with ‘double encryption technology’ – your data is encrypted twice (not once). They have a strict ‘no logs’ policy and they would just shrug shoulders if anyone asks about you. On top of that, this is a beautifully designed application with a highly intuitive user interface. This is why we often recommend NordVPN to inexperienced users who are encountering VPNs for the very first time. Everything works automatically, without fine-tuning or understanding technical terms. We have found that NordVPN provides not just the VPN essentials but strives to deliver a little more than you’d expect. For more information, here’s our review of NordVPN. IPVanish has been around for a while now with a killer set of features and it really earns the ‘best VPN for India’ title for itself. It comes with a scrambler, IP-verify feature, IPv6 leak protection, great speeds on our local server tests along with video streaming and P2P connections. IPVanish also has an IP cycling feature which keeps changing your IP address for an extra layer of safety (and you can set your interval lengths). In addition, this is an effective method of breaking geo-restrictions and enjoying media streaming services that originate from the US. This means that IPVanish is one of the most effective all-in-one VPNs that you can find at the moment. Keep in mind that IPVanish requires you to do some tweaks first before you get started. Dealing with server lists to choose from, account details, legal information, and the settings along with the not-as-elegant user interface are a few downsides. Beyond this, it’s as robust as VPNs get. Finally, our IPVanish review has everything you need to know about this application and whether or not it’s the best VPN for you. More popular among highly advanced users, TorGuard is one of the oldest VPNs. This is an incredibly flexible, powerful, and feature-rich application. It’s near universal when it comes to platforms and can work almost anywhere and with anything. However, it’s built for users who want to control almost every aspect of a VPN. It’s also the best VPN for India to use if you specifically want to unblock Netflix and Hulu (as it comes with streaming IP addresses suitable for website unblocking). TorGuard is also slightly tech-heavy to manage so it’s not for you if you don’t want to (or can’t) spend time reading extensive manuals or getting your hands dirty with technology. Other than that, TorGuard comes with anonymous VPN IP, private VPN encryption, stealth VPN services, and world-class support. Read our exhaustive TorGuard review to get under-the-hood and explore everything that this VPN offers. You’ll soon see why this is truly one of the best VPNs for India. If unblocking absolutely any website is your primary reason to look for the best VPN service, say hello to SaferVPN. You can kiss restrictions goodbye and access any website from anywhere in the world. As with all VPN service providers, SaferVPN comes with 256-bit bank-level encryption and fast connection speeds. With SaferVPN, you get access to more than 700+ servers (with plenty of servers in India) across 34 countries and a completely managed (in-house) VPN service. This application is relatively new to the market, and it’s one of the most intuitive VPN services today. It is built for beginners who don’t want to fiddle with a zillion settings and anything remotely technical. Also, it comes at a low price and seems perfect for average home users, as noted in our SaferVPN review. We hope that you found our ‘Best VPN for India’ article to be useful. If that’s the case, why not share it on the Web? And don’t forget to follow us on Facebook and Twitter. Thanks!